Almost finished on the Den. 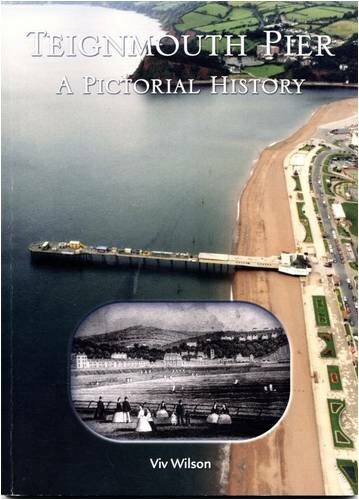 I found another poem about Teignmouth Pier which was hiding in Viv Wilson’s Book “Teignmouth Pier a Pictorial History”. Thanks to Viv for allowing me to post this. I think the interesting thing about all three recent poems about the pier is how memories are created around an inanimate object like the pier. They are individual memories but at the same time shared through the nature of interactive experience. This was also reflected recently in a television programme about someone’s childhood memories of holidaying in Shaldon and Teignmouth. ‘Twas the meeting place of all my peers. With wordly talk of things diverse. A trip to the Parson and Clerk cost a shilling each. The view from the pier was all a young man could wish. Pity it was shut for most of the year. We really were the lords of the Den. He lived in Station Road over the shop. There was no way you could get us through the door. But time moved on at the pier by the shore. For wives and children we had to fend. If youth were so idyllic after all. This entry was posted in Teignmouth Imagery and tagged Evelyn Hardy, Parson and Clerk, poetry in Teignmouth, Ron Warne, Teignmouth pier, Teignmouth poetry, Viv Wilson on November 12, 2014 by pherecrates1.